Our 2013 open source holiday gift giveaway ended on December 11. Read the official rules for more details. You could win some of the gifts from this guide, and the grand prize winner will receive a Lulzbot TAZ 2 3D printer! View the complete list of prizes. So whether you're shopping for the open source enthusiast in your life or just for yourself, we hope you enjoy our The ultimate open source gift guide for 2013. Don't forget to enter our giveaway. Print out just about anything you can imagine with a Lulzbot TAZ 2 3D printer. 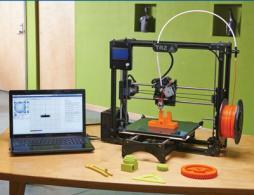 The 3D printer from Aleph Objects, Inc. carries the Free Software Foundation's Respects Your Freedom certification. This is the company's fifth generation 3D printer and is representative of the best and brightest ideas sourced from a global community of passionate innovators. Among the many cool features of this 3D printer is a large build area that allows users to print a large part in one complete piece or multitask by printing many smaller prints simultaneously. You can pre-order one now for $2,395. The Ouya is an Android-based, open source gaming console that was born out of a successful Kickstarter project. The $99.00 console is now available to the public, and features more than 500 games that you download directly to the console. You can get the entire console (and a slew of free downloadable games) for slightly more than the price of a single game on a proprietary console. If you've ever wanted to build and program your own little vehicle, then the RedBot Kit from SparkFun is a great place to start. This nifty kit that lets you built a simple hackable robot, solder-free, with a selection of sensors so it can actually react to the world around it. 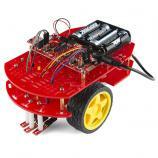 The RedBot Kit won't be able to operate on Mars but it will definitely fuel your curiosity about robotics for $74.95. Perhaps the only thing more fun than playing the classic electronic memory game Simon Says is making the game yourself. You can do it with SparkFun’s Learn to Solder Simon Says Kit ($44.95) let’s you make a version of the game, and even includes soldering tools and a Beginning Soldering Handbook for soldering newbies. If you already have soldering skills, you can get this version of the kit for $24.95. O’Reilly Media has long been a champion for open source software. In addition to its iconic "animal books" for software developers, O’Reilly also offers eBooks in several DRM-free file formats and training videos. If you’re shopping for yourself, finding a resource to build your open source skills is easy. 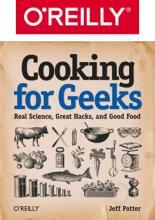 If you’re shopping for someone else, you can’t go wrong with Cooking for Geeks: Real Science, Great Hacks, and Good Food for $27.99 (eBook) or $34.99 (print). Support open source, support the future of the web, and support your pants with this stylish HTML5 belt buckle. This high quality belt buckle is made in Canada using environmentally-friendly processes. 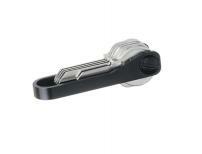 Designed for snap-on belts, they are available in a choice of copper, nickel, or bronze plating. Think of it as web technology for your pants. You can get it from deadlygeek for $25.00. Adafruit Industries offers tools, equipment, and electronics for makers of all ages and skill levels. Among the items Adafruit has created is the FLORA, a wearable electronics platform it made from scratch after many months of research. Use the FLORA to empower some amazing wearable projects. It’s available for $24.95. Music fans love being able to hear their favorite tunes at a click of a button, and Spotify makes that easy. The digital music-streaming service gives on-demand access to millions of songs on all of your devices. And while Spotify itself isn’t open source, Spotify does publish some of its internal projects as open source and contributes to the open source projects it uses. Upgrade your loved one's Spotify account so they can listen to their music commercial-free on your computer for $4.99/month or add all your devices for $9.99/month. 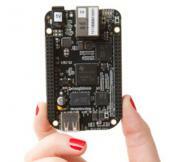 The BeagleBone Black is the next-generation low-cost, credit-card-sized development board from BeagleBoard.org. This open hardware and software development platform allows everyone from electronic artists to engineers to access a ready-to-use, 1-GHz computer for only $45.00. The BeagleBone Black includes all the necessary components in the box to connect a display, keyboard, and network. And BeagleBoard.org boasts an active development community for ideas, support, and help. You can also get started with the book Bad to the Bone: Crafting Electronics Systems with BeagleBone and BeagleBone Black ($39.00). Packt is one of the most prolific and fast-growing tech book publishers in the world. Originally focused on open source software, Packt pays a royalty on relevant books directly to open source projects. These projects have received over $400,000 as part of Packt’s Open Source Royalty Scheme to date. With over 1000 books published, Packt now offers a subscription service giving subscribers access to every book in PacktLib and every subsequent book published by Packt during the length of your subscription. Subscriptions start at €14.99/month or €150.00/year. You can also buy books and eBooks individually. Arduino is the well-known, open source prototyping board intended for artists, designers, and hobbyists. Use any of a myriad of shields with it to control lights, motors, sensors, and actuators. Arduinos are programmed using the Arduino programming language (based on C++) and can be used for standalone projects or with other devices and software. Discover ways to put your Arduino to use in the element 14 community. You can get them from several suppliers for $29.95. If you’ve heard of Arduino, but you’re not sure how to start, check out the Starter Pack for Arduino from Adafruit Industries. This bundle is designed to quickly and easily put you on your path of learning electronics. Use the starter pack with the introductory tutorials, and you can learn to work with electronics and microcontrollers even if you have little or no electronics and programming experience. The starter pack has everything you need (except tools) for all lessons and is available for $65.00. If carrying a ring of keys is cumbersome and annoying, try a BladeKey—an open source, 3D-printable way of carrying your keys. You can download a small open source script that generates a custom sized BladeKey based on the dimensions of your key. The script can also be modified to add custom wording to the side of the BladeKey, such as an email or phone number in case you lose your keys. You can then 3D-print the custom BladeKey (for personal, non-commercial use). For those who do not have a 3D printer or would like a metal version of the BladeKey, you can simply order one for $25.00. MAKE is a quarterly project-based magazine published by O'Reilly Media. MAKE brings the do-it-yourself mindset to all the technology in your life. The magazine features cool projects that help you make the most of your technology at home. Join the maker movement by tackling some of the projects outlined in the magazine. A one-year (six issues) print subscription costs $34.95 or order a digital subscription for $19.99. An LED flashlight is always handy, but the HexBright FLEX takes flashlights to the next level by allowing users to program them. The Arduino-compatible flashlight is 500 lumens (really bright) and features a USB charger. The flashlight’s code is available for download on GitHub. The kit includes a 500 lm FLEX, li-ion battery, micro-USB cable, and wall charger for $99.00. littleBits offers three exploration kits that allow future makers an easy way to started with electronics using an open source library of electronic modules that snap together with tiny magnets for prototyping, learning, and fun. Users have created everything from an electric toothbrush to a synth spin table. The littleBits Exploration Kits range from $99.00 to $199.00. Raspberry Pi is the popular credit-card sized Linux computer that was recently updated to come with 512 MB RAM. Use it as a media center, a tiny game station, or for anything you might want to do with a very small computer running any of several Linux distros. Harness the power of Raspberry Pi with a variety of accessories from Farnell element 14, which offers a variety of add-ons for your Pi, from a camera board to a Pi Cobbler Breakout Kit. Raspberry Pi starts at $39.95. The open source developer in your life has almost certainly spent some time on GitHub, the most popular code repository site for open source projects. GitHub runs a small online shop that features everything from Tshirts and coffee mugs to stickers and onesies (for the future developer in your life). And since GitHub has one of the cutest logos of all time—the Octocat—anything from the shop is sure to bring a smile to those around you. Items range from $5.00 to $55.00. If you’re still not sure what to get the open source enthusiast in your life, head over to ThinkGeek.com. While the site only features a few directly open source-related products (like the iNecklace or Bero, the blue-tooth controlled, open source robot), there are plenty of potential gifts here for the geek in your life. What other open source related items are on your shopping list for the holidays? Make your own geekishly stylish digital watch with Sparkfun’s “Learn to Solder Big Time Watch Kit.” This kit ($49.95) is perfect for beginning solderers, as it includes soldering tools and a Beginning Soldering Handbook. Already know how to solder? Then opt for the BigTime Watch Kit ($29.95). The watch kit is also super hackable. It’s an accessory that people will definitely garner some oohs and ahhs when you wear it. Opensource.com - Opensource.com publishes stories about creating, adopting, and sharing open source solutions. Follow us on Twitter @opensourceway. For anyone interested in giving homemade gifts, the Free Penguin Project has patterns for sewing your own stuffed Tux doll. If cross-stitch is more your thing, you can find a Tux pattern here (PDF). I also highly recommend Eclipse Phase for any sci-fi Pen & Paper RPG fans . All the books are released under a Creative Commons license, so you can download the books for free before you buy print copies (or pay for PDF versions to support the game designers). You can get the free PDFs from Rob Boyle's (one of the game designers) blog or from Unpossible Labs (a fan site). My own wish list for the holiday is mostly stuff from the Red Hat Cool Stuff store. Seriously? Pandora? You're insisting on a product which requires either Flash or a proprietary application to even use? Key organizers? Thanks for perpetuating the stereotype that those who care about secure computing are the same kinds of people who have big rings of keys on their belts in some sort of display of perceived importance. I need HTML5 Belt Buckle... and go to Internet Explorer developer office.